Rachel Wahler was chosen in the East Region. 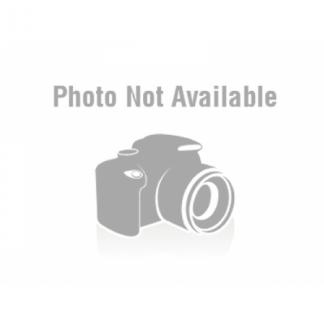 Rachel resides in with her family in Holmes, New York which is located in Putnam County and Region VII. She is a senior at Carmel High School located in Carmel, New York. She has maintained a weighted G.P.A. of 97.52 and has enrolled in a number of advanced placement courses as a junior and senior. Her educational plan is to seek a degree on elementary education and become a teacher. She is active in her high school in its science club, involved in her church’s choir and has still found time to serve for four years in the Lake Carmel Fire Department Explorer Post and currently serves as its 1st Lieutenant. In order to get a head start on her teaching career she has actively assisted young children in the choir with The Dotted Half Notes group. Her father is an Ex-Chief and member of the Somers Fire Department. Amanda Linger was chosen in the Central Region. Amanda resides with her family in New Baltimore, New York which is located in Greene County and Region II. 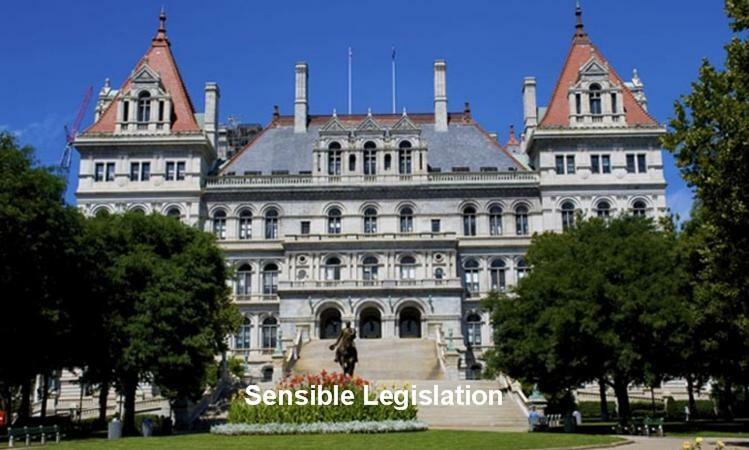 She is a senior at Ravena-Coeyman’s-Selkirk High School located in Ravena, New York. She has maintained a weighted G.P.A. of 94.32. Her educational plan is to seek a degree in in pharmacy. She is active in her high school in its student government, yearbook staff, National Honor Society, and was chosen as a student representative to the Board of Education. She has served her community as a member of the Cornell Hook and Ladder Ladies Auxiliary and then as a member of the Cornell Hook and Ladder Company. She is a third generation volunteer firefighter. Calvin Zielinski was chosen in the West Region. Calvin resides with his family in Cheektowaga, New York which is located in Erie County and Region VI. He is a senior at Maryvale High School also located in Cheektowaga, New York. He has maintained a weighted G.P.A. of 92.05. Her educational plan is to seek a degree in computer information systems. in pharmacy. He is active in his high school in its Chess Club, National Honor Society. He has served his community as a member of the Cheektowaga Police Explorers, the Hy-View Fire Explorers, has assisted the elderly at the Cheektowaga Senior Center. His father is a volunteer firefighter. Nathan Robert Hanley was chosen in the North Region. Nathan resides with his family in Ausable Forks, New York which is located in Clinton County and Region XI. He is a senior at Ausable Valley High School located in Clintonville, New York. He has maintained an unweighted G.P.A. of 84.26. As a junior and senior he served as a captain of his high school’s football team. He also has been a member of his high school’s basketball team. His educational plan is to seek a degree and take course in fire science, emergency medical studies and criminal justice. 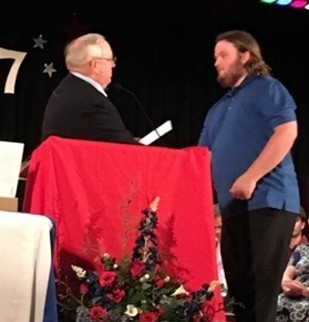 He has served for two years in the Ausable Forks Emergency Ambulance Service, for nine months in the Ausable Forks Fire Department and for one and one half years in the Wilmington Fire Department junior program. 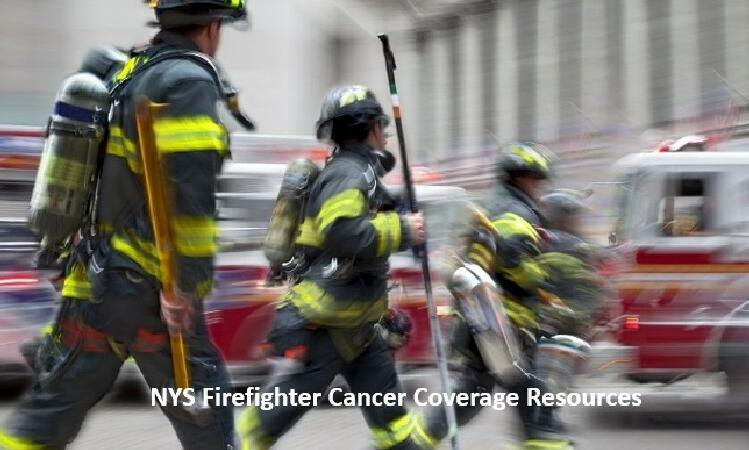 He is currently a volunteer firefighter in the Ausable Forks Fire Department. 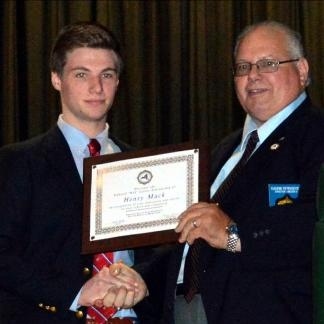 Representing the East Region of the State the Committee selected Henry Mack who resides in Huntington, New York. He is a student at Harborfields High School where he maintains a 97.8 GPA. Henry is the grandson of Kenneth Klerk, a long time member of the Centerport Fire Department and he is a leader of the Cadets in the Centerport Fire Department. He has been a member of the varsity swim team at Harborfields High School since 7th grade. He plans on majoring in Engineering in college. The recipient from the Central Region of the State is Victoria A. Cunningham who resides in Saratoga Springs, New York, where she is a volunteer firefighter with the Maple Avenue Fire Department in the Greenfield Fire District. She attends the Saratoga Springs High School where she has been a member of the National Honor Society for two years. Victoria has participated in “Toys for Tots” for the last two years. Her physics teacher wrote that “not only is Victoria a very hard worker, but also she is well respected by the faculty and her peers.” Victoria plans on pursuing a degree in chemical engineering with a specialization in fire protection engineering. Janine Velardi resides in Delaware County and is a student at the Walton Central School District in Walton, NY. Janines's application noted that her grandfather was a firefighter and is an honorary member after fifty (50) years of service for the fire department for which he served. In addition to her academic activities she plays on the school basketball, golf and soccer teams. She is an honor student and second in her class. She is also very much involved in her community, serving at the community Christmas Dinners, Town Clean-up Day and Blood Drives. She intends to pursue a course of study in college in bio-chemistry/pre-med. 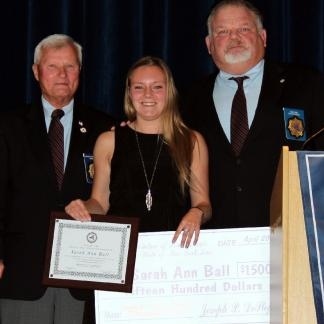 In her application she noted that her father Brian Ball is a firefighter with the Union Hill Fire Department, of the North East Joint Fire District for over thirty years. Her school counselor noted Sarah is extremely diligent and mindful in everything she does including being a competitive hockey player since she was twelve. 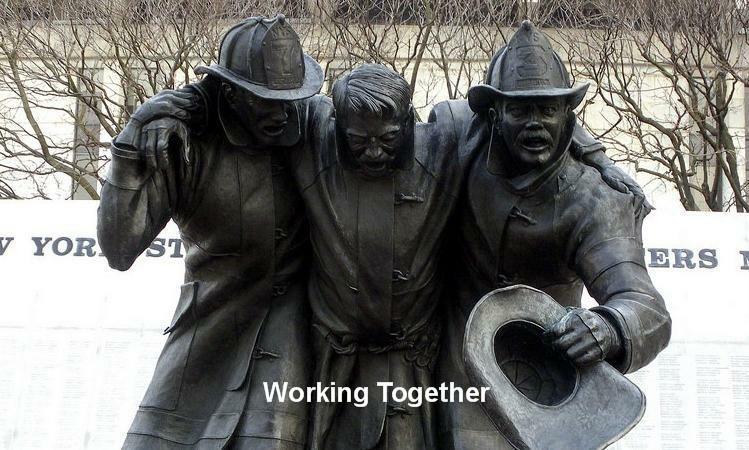 Following the tragic shooting of two West Webster Fire Department members she provided comfort to countless visiting fire fighters, as well as ones she had known for years. 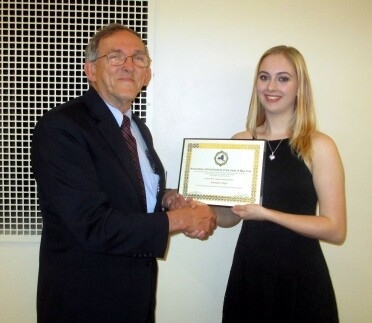 Academically she has excelled and is a member of the National and Spanish Honor Societies. Sarah will be attending Geneseo State College pursuing a degree in criminal justice. 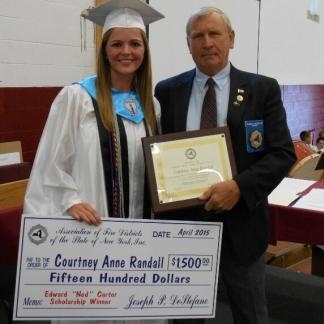 Courtneyanne Randall resides in Cuyler, NY and is a student in DeRuyter Central School, DeRuyter, NY. Coutneyanne is a volunteer firefighter along with her farther in the Cuyler Fire Districts Fire Department. 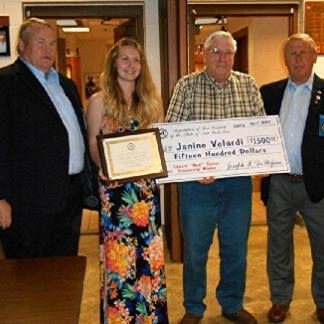 In addition to her activities as a volunteer firefighter she has been on the National Honor Society for four (4) years and Future Farmers of America for the past year. She intends to pursue a course of study as a physician assistant. Courtney takes advantage of many opportunities within her school, community and at home. She has participated in soccer and basketball every year. Dominick A. Peluso, resides in Suffern, New York and is a student at the Ramapo High School in Spring Valley,NY. Dominick is a member of the Moleston Fire District Fire Department. 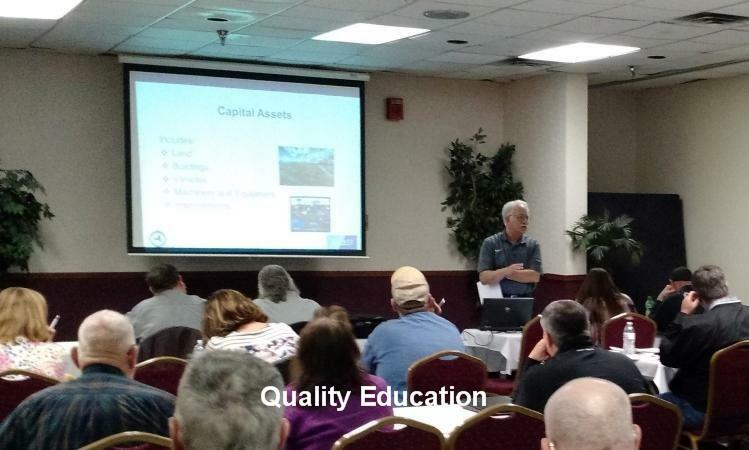 He has also been a member of the Rockland County Conservation and Service Corp. for the past year and a half, a member of the Rockland County Community Emergency Response Team and a teen advisor for safer schools and community. Notwithstanding, with all of these community activities, Dominick still maintains a high school career average of 97.3% and ranks fifth out of a competitive class of two hundred forty-three (243) students. Heather is a student at the Bellport Senior High School in Brookhaven, NY where she maintains a current grade of 95%. 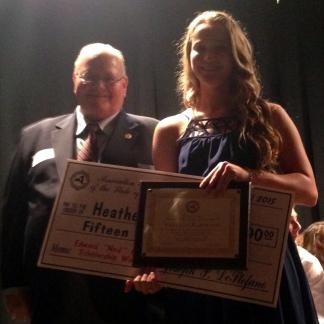 Heather has been an active participant in the National Junior and National Senior High School Honor Societies. In addition to her educational activities, she has volunteered as a junior counselor at a camp for children who have suffered the loss of a loved one. A Commissioner from the Brookhaven Fire District wrote that, like her family, she has always been involved in the Brookhaven Fire Department. She intends to pursue a course of study in Biology for a potential degree as a veterinarian. Center Fire Department, Delaware County? 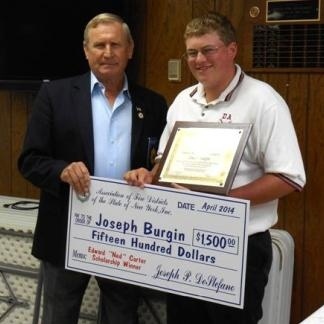 Representing the Western Region is Joseph Burgin who resides in Bovina Center in Delaware County. Joe has been involved in the Bovina Center Fire Department where his father is the chief. He has been involved in many activities in the community including American Cancer Society’s Relay for Life, Walk to End Alzheimer’s and many others. Upon graduation from high school, he intends to pursue a course of study in business and professional golf management. The recipient from the Northern Region is Maeve McQuilkin. 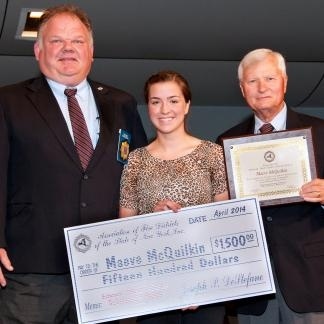 Maeve McQuilkin is a student at Spencerport High School where she ranks 45th in a class of 319 and has a cumulative GPA of over 4.0. Her father is a commissioner and volunteer firefighter of the Spencerport Fire District. Maeve is a member of the Spencerport Fire Department explorer program and an eleven year participant in the summer soccer program. Maeve intends to pursue a degree as a physician’s assistant.